Does the thought of buying your first home leave you feeling lost, overwhelmed and scared? Wouldn't it be nice to have someone there to hold your hand and guide you through the steps? Imagine if you had someone you trust tell you what to look for, what to ask for and what to prepare for? Envision what it would be like if you knew what to send lenders so they contact you as little as possible? What would it fell like to know that you had the foresight, the support and the confidence to make an offer, while knowing that the risks are managed? There are so many options out there that it is overwhelming for anyone to go through everything in order to make the best choice. Which lender should you go with? Which inspector should you go with? How do you know if these mortgage terms are right for you? There are so many things to think about that many will stumble around and some will regret some of the decisions they made. Not only are there so many items to think about, there are also so many things that people don't tell you that you should know. For example, how is your credit affecting your qualifying power? How can you afford a property if you don't have money? Is there a way you can buy a home and live in it for free? When we first started, we were lost and confused. 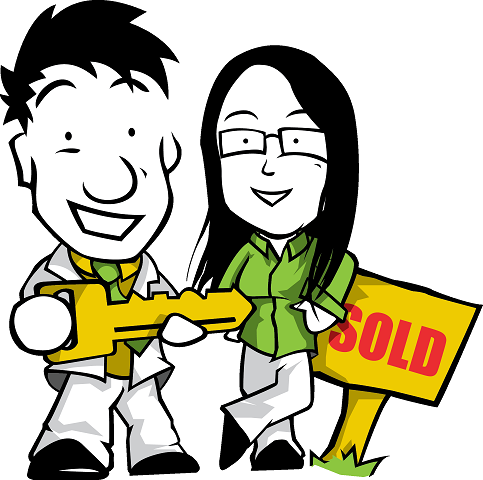 After our first seminar, we were scared silly with having to put in an offer on an investment property. Doubt after doubt plagued us as we questioned if we were doing the right thing at the right time and whether we were missing anything or not. We constantly wished for someone to show us how everything was done. With a few properties under our belt now, we are confident and no longer plagued by all the insecurities we had with our first house. As we continued buying properties, we have watched countless others, some being our dear friends, go through with poor, unadvised decisions just because they didn't know what to ask for when structuring a mortgage on their personal home, or even worse yet, finding out something when it is too late. We remembered how we felt when we were looking for our first place and decided to take matters into our own hands. We started guiding our friends on what to do and watched how they were able to buy their first home with confidence and courage. After a while, our friends started telling us that we couldn't just keep this within our circle of friends. They told us that it was our duty to help others as well. Here is how we can help you. We will provide you with the support and the guidance you need to find and purchase your first home. We will show you the steps to buying your first home and how you can possibly even live in it for free. We will open our connections to you so that you have the best supporting team who can help you with mortgage selection, property searches, and much, much more. We will be there to hold your hand every step of the way as you venture into a new chapter of your life. This chapter of your life should be a thrilling experience, not something that you get frustrated with as you tell your friends. Let us be there to make it the best experience you have ever had. As we have mentioned before, our friends have told us that it was our duty to help more people with guiding them through getting their first home. Not only that, but at their request, we have agreed to let you have your first session for FREE to see if we are a good fit for each other. This will allow you to see what we are all about and whether we can provide value to you. Although our friends have requested that we help people, we are not everything to everyone. This is why we do not accept just anyone into our first time homebuyers program. Whether we are the right fit for each other or not, you can have access to a free session from us. After entering your information below, feel free to review our written and video testimonials about us. We guarantee you will be WOW'd.